This photograph taken was taken at North Weald on Sunday 29th June 2003 and shows the rear view of fleet number RT113 (FXT288). 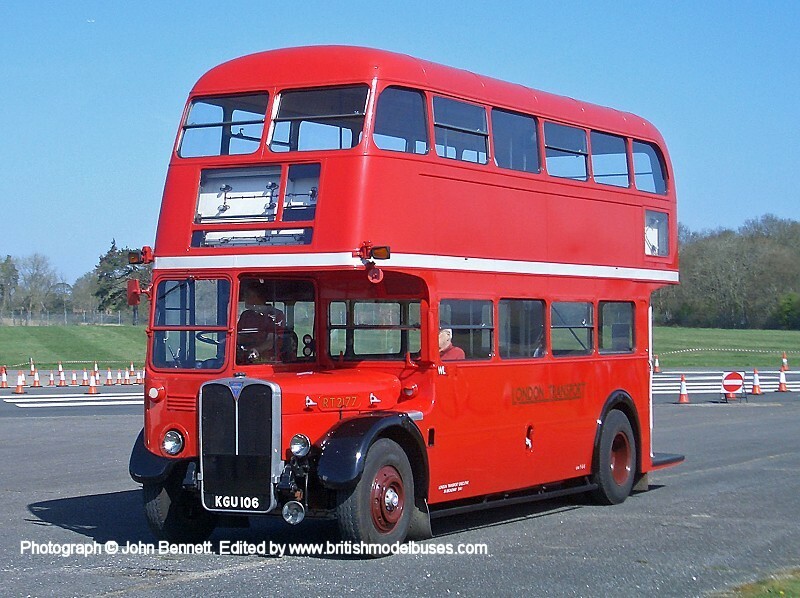 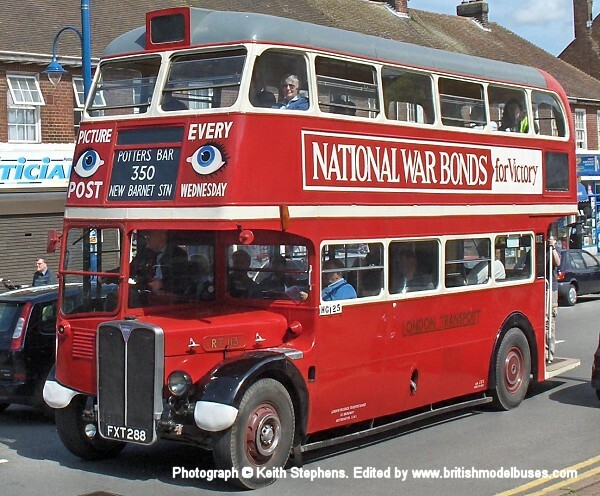 This photograph was taken at Longcross Test Track during the Cobham Rally on 1st April 2007 and shows RT191 (HLW178). 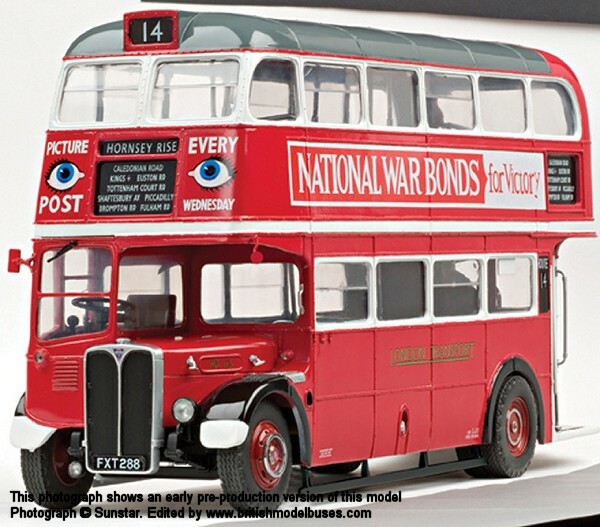 This is the actual vehicle represented by Oxford Diecast as NRT001. 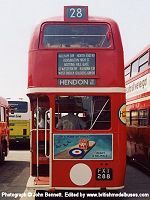 This photograph shows RT1700 (KYY527). 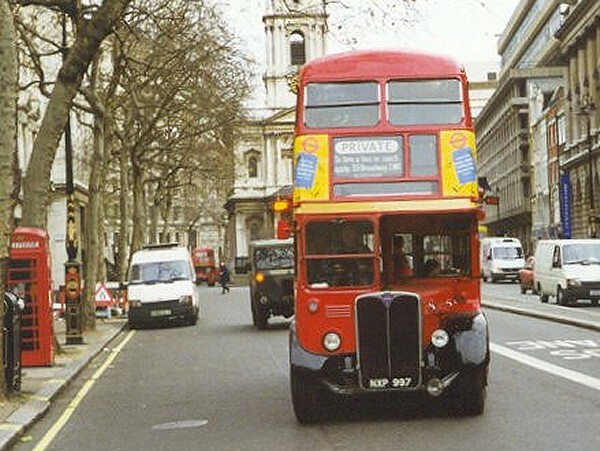 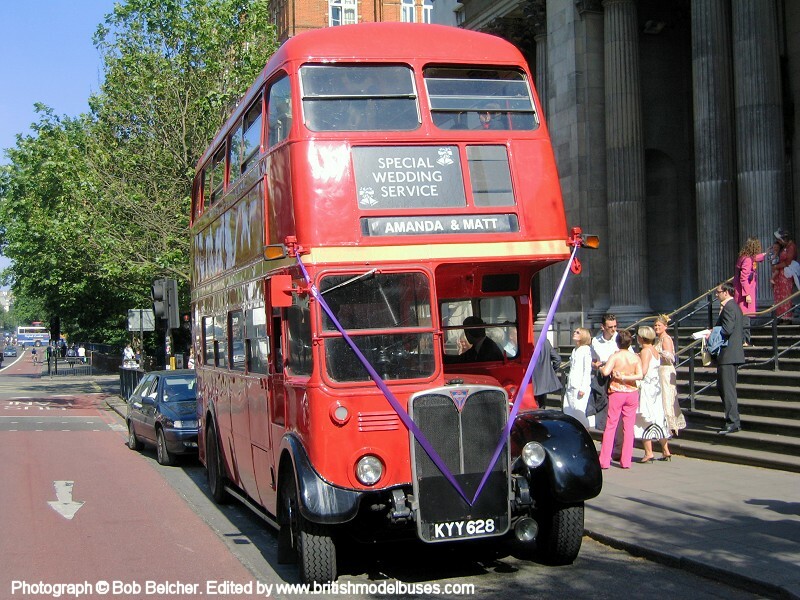 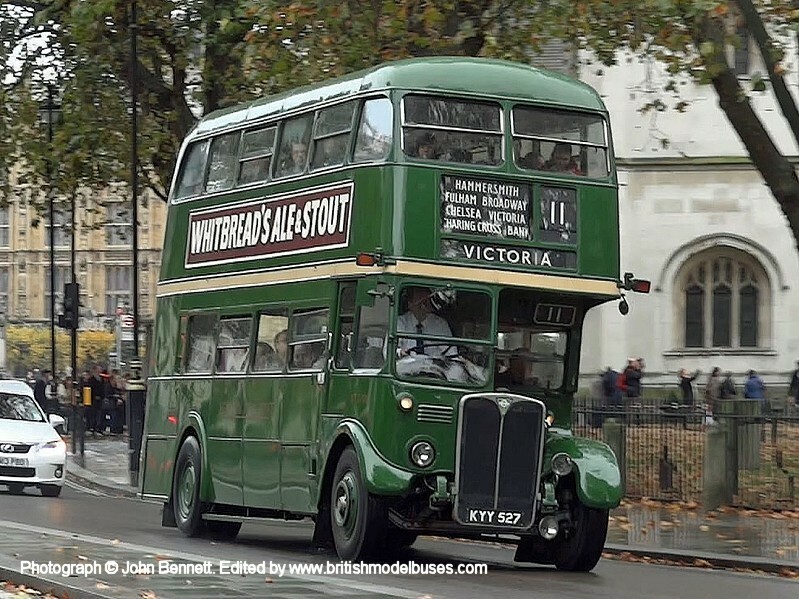 The photograph was taken as RT1700 passed Westminster Cathedral on Sunday 2nd November 2014 when RT family buses were running on route 11 for an ‘RT75’ & ‘Year of the Bus’ event. 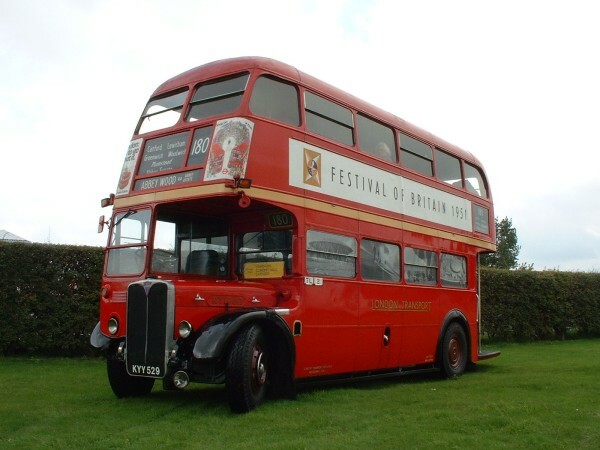 This photograph was taken at Wisley Airfield on Sunday 11th April 2010 and shows the nearside view of the above. 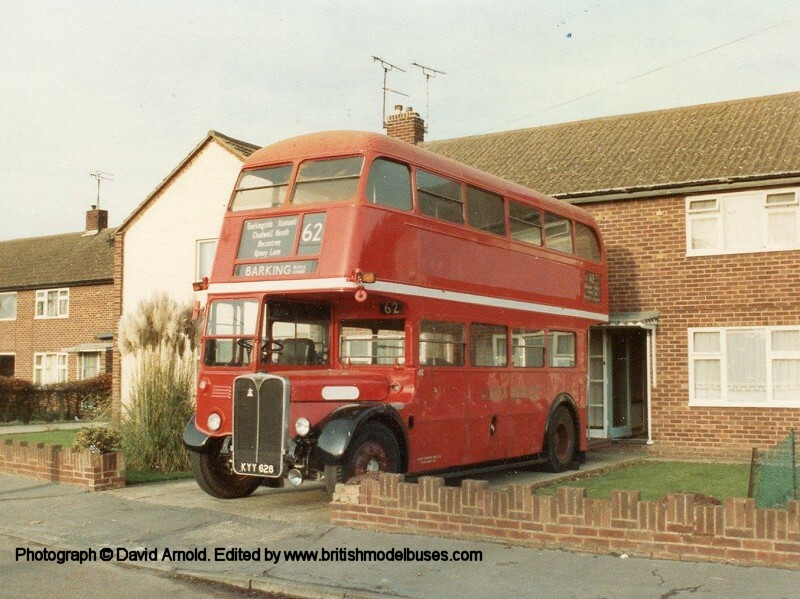 This photograph was taken on Davids driveway of his house in Heybridge, nr Maldon, Essex. 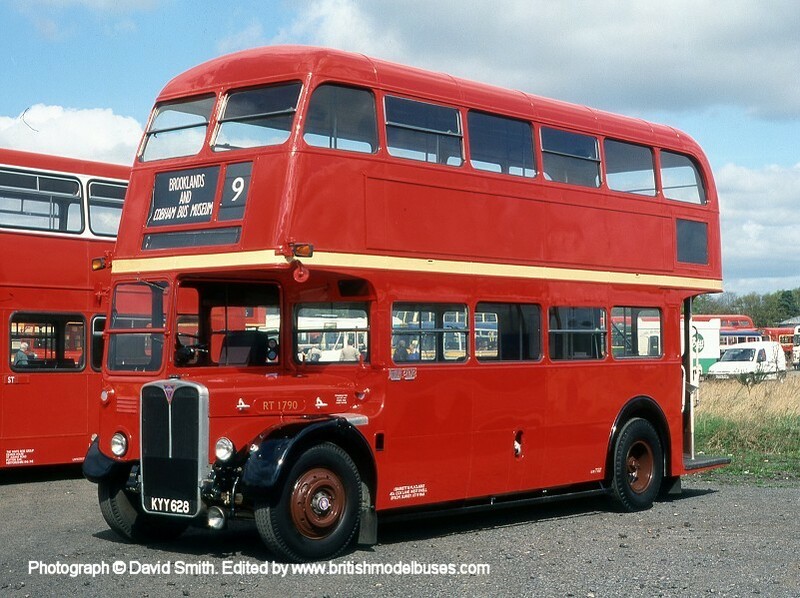 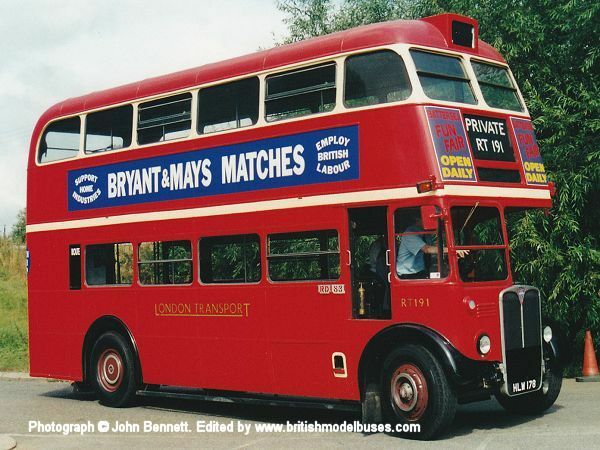 David tells me that this bus was owned by Cooks boat yard in Maldon after LT and he got it from them. 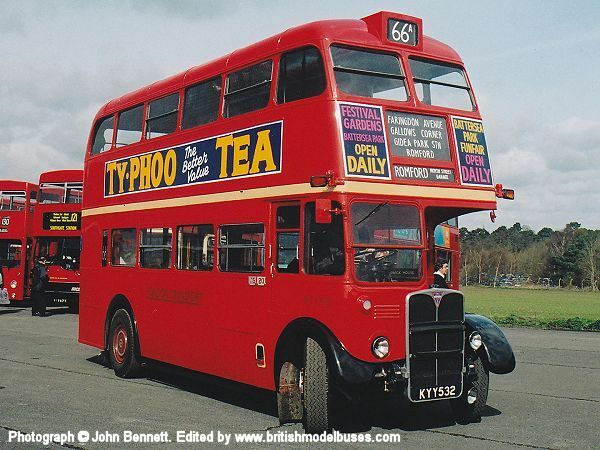 This photograph was taken at Brooklands airfield on 11th April 1999. 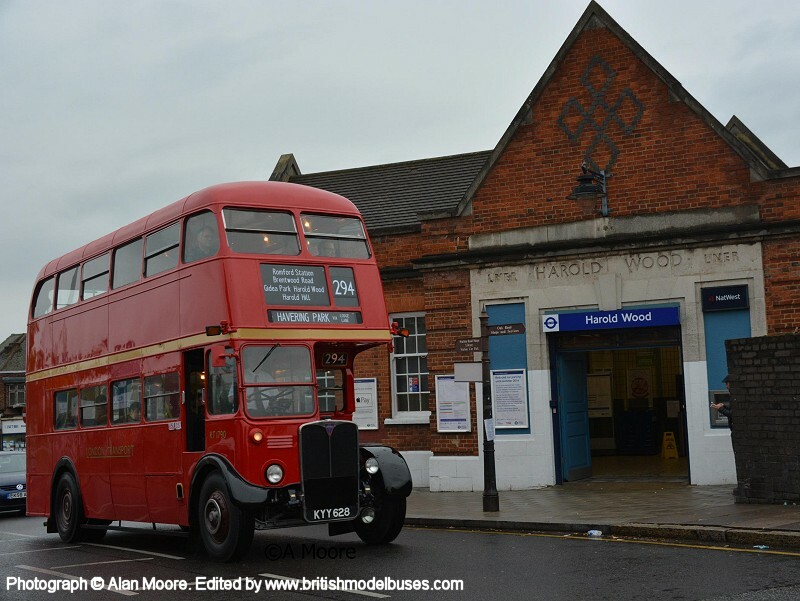 This photograph was taken at Finsbury Park, London on 13th July 2014 during the RM60 celebrations and shows the nearside view of the above. 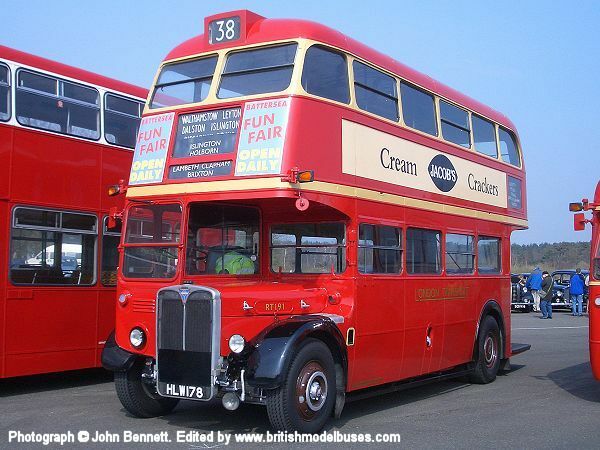 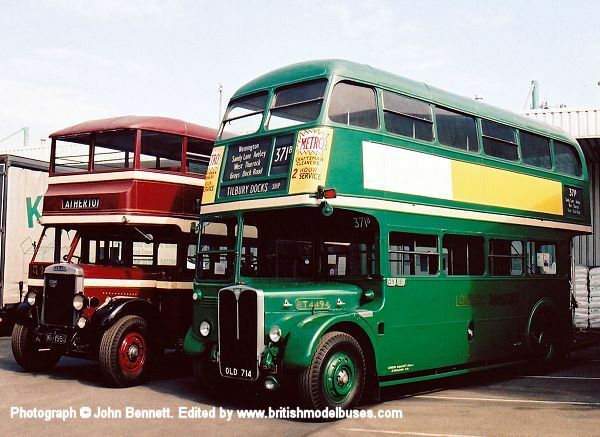 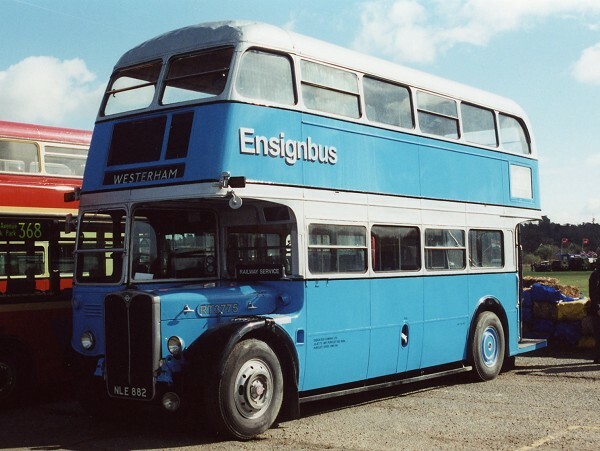 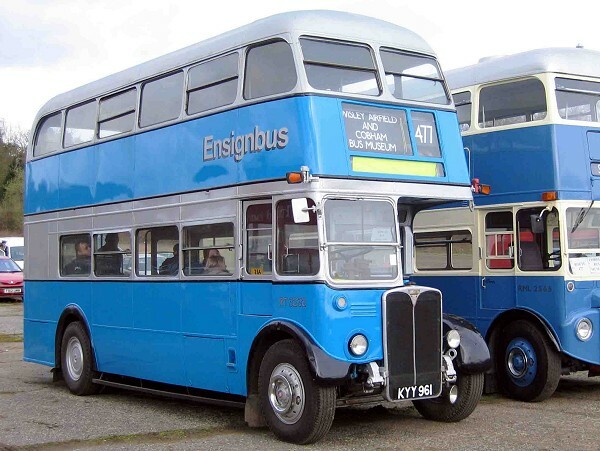 This photograph was taken at the Lincolnshire Road Transport Museum on Sunday 16th April 2006 and shows RT4494 (OLD714). 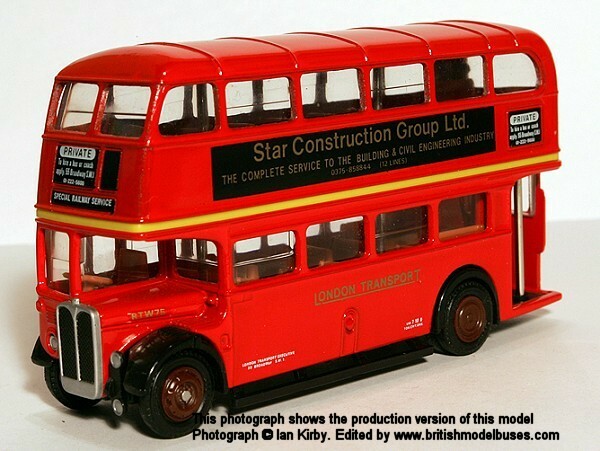 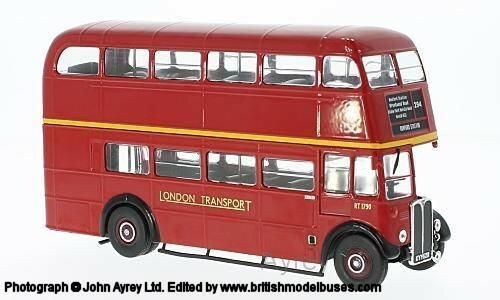 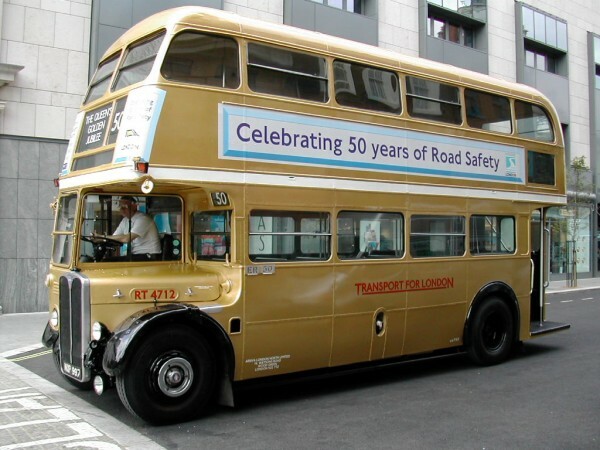 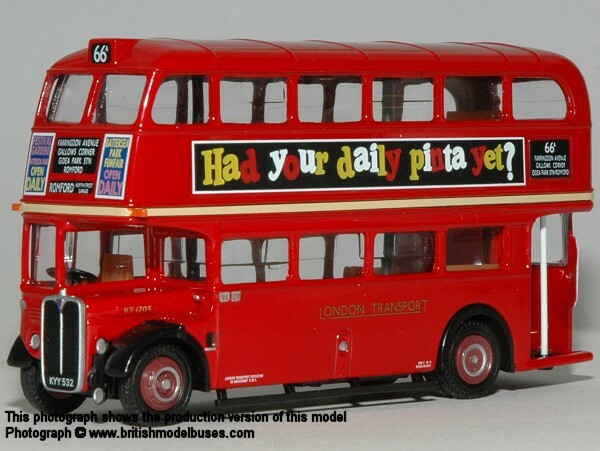 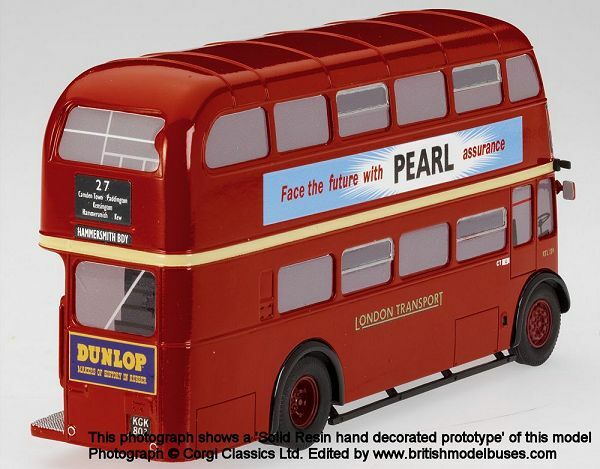 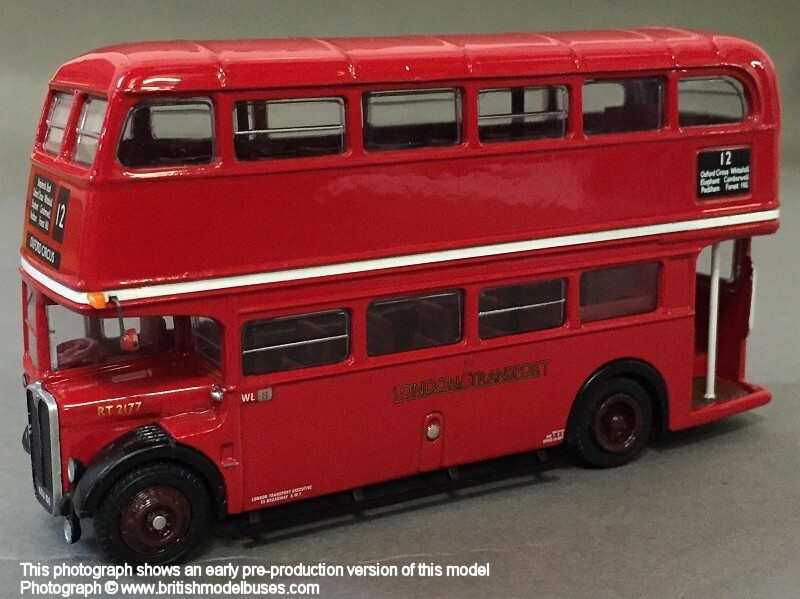 This is the actual vehicle in London Country livery represented by Oxford Diecast model NRT005. 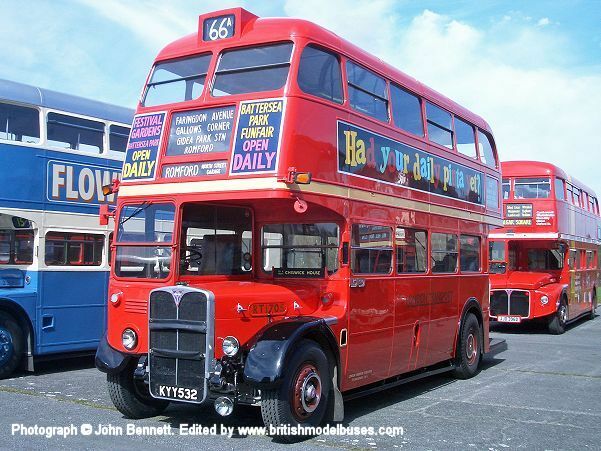 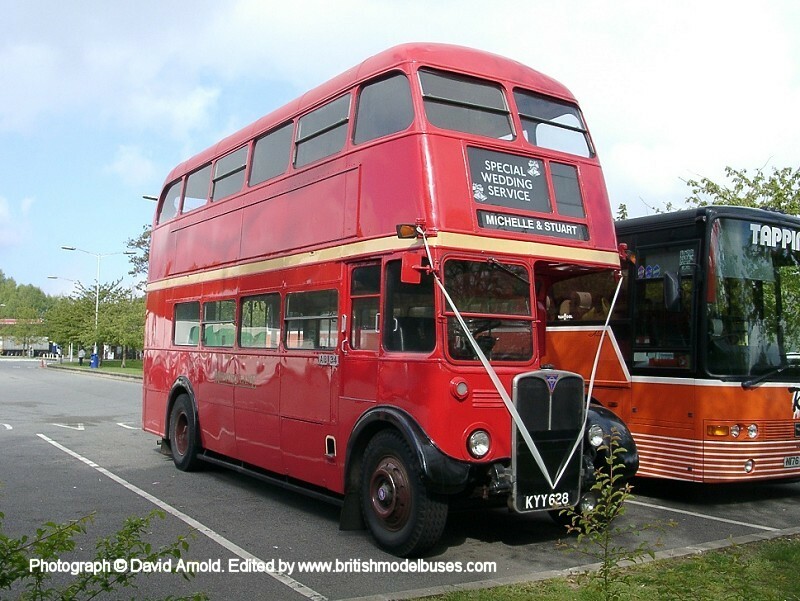 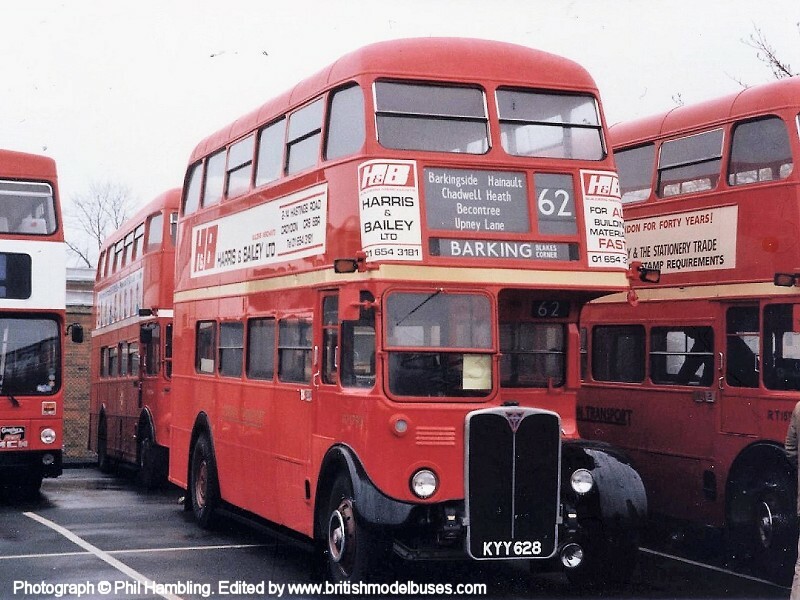 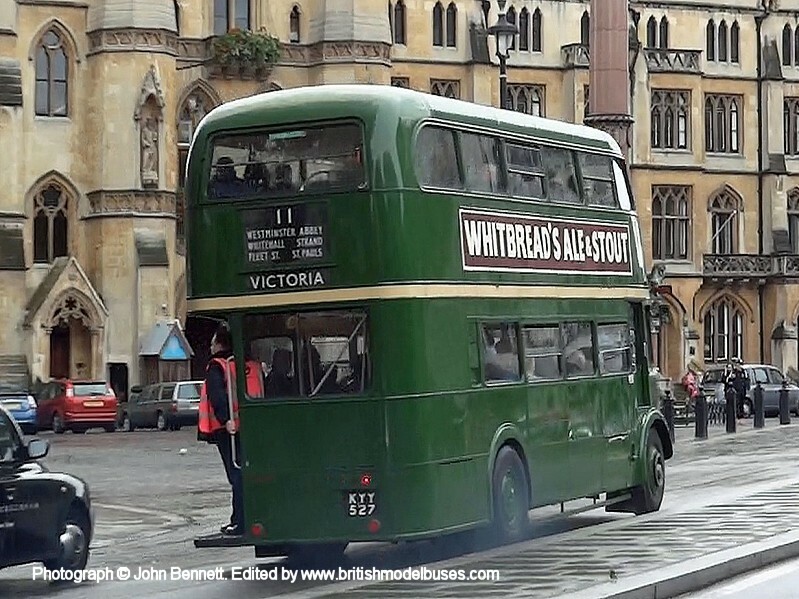 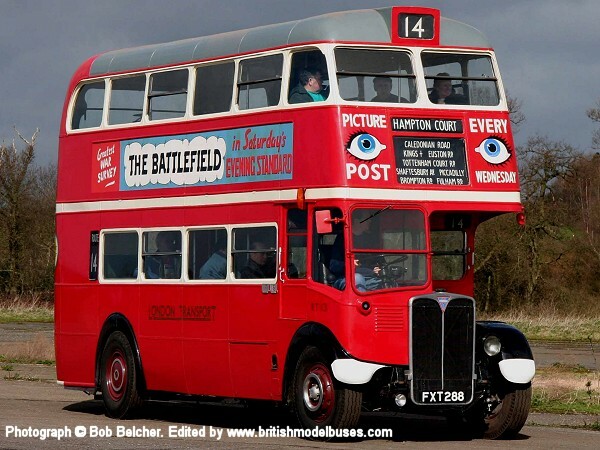 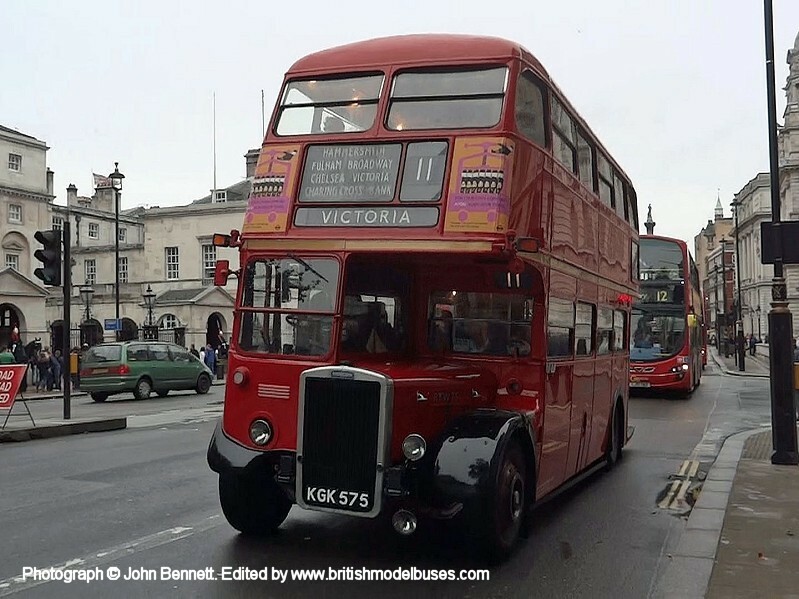 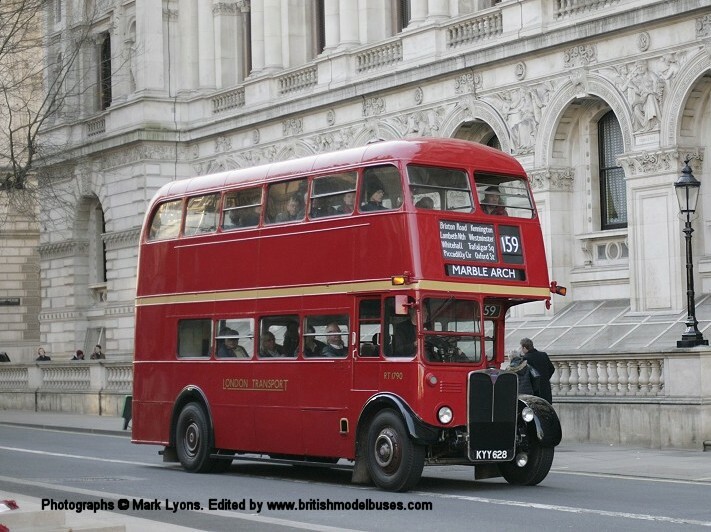 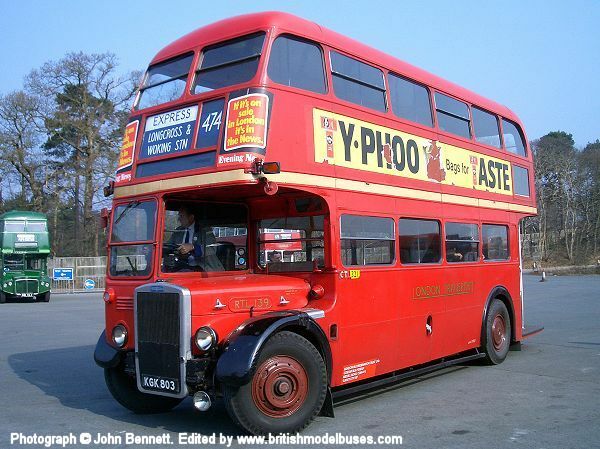 This photograph shows RTW75 (KGK575) in Whitehall on Sunday 2nd November 2014 when RT family buses were running on route 11 for an ‘RT75’ & ‘Year of the Bus’ event.